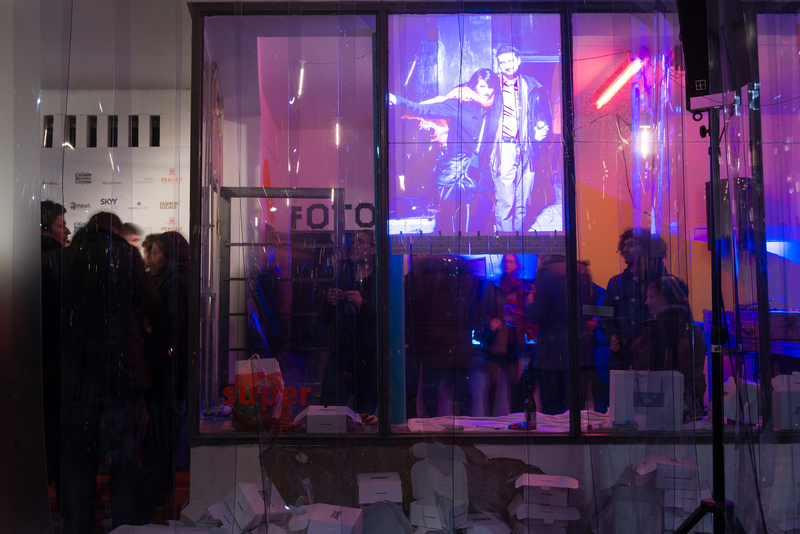 „Push The Button“ is an interactive fotobox installation. The visitor can push a button. A custom electronic triggers a series of three pictures, each with a different coloured flash. After that a computer downloads the pictures are merged into one image. The merging process can be viewed on a video projection and the final picture can be printed out right after it was taken.